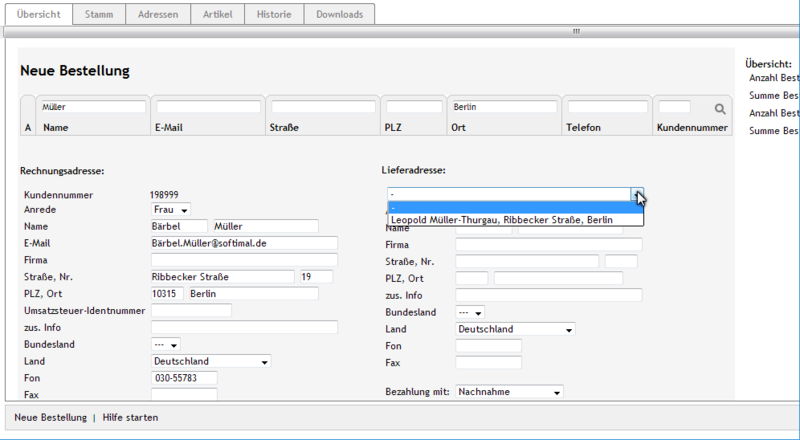 OXID eXchange | softimal Backend Order 1.0 | Stable | CE | 4.9.x - 5.3.x - backend | Module, Themes, Language Packs direkt herunterladen! From Admin area you can add a new order right under Orders, enter new customer data and delivery addresses or select existing ones, change them and add items, ordered for instance by phone. Just awesome! How to get your phone orders into OXID order system? Now there is a comfortable way! Just enter the order for new or existing customers - as your customer is still on the phone - right under Orders in the OXID Backend! Enter new order right under Orders in Admin-area. Search and sort existing customer data. Available delivery addresses of existing customers can be selected. Just enter new customer data and delivery addresses or change existing ones. 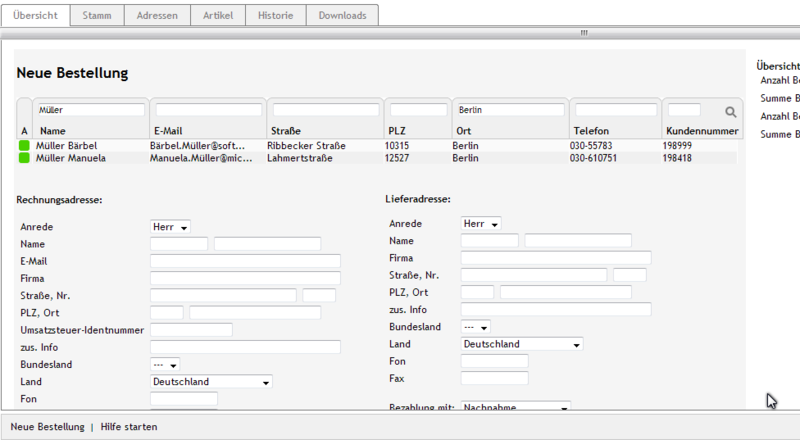 Changes are updated not only in Orders (unlike Save-function under Orders/Addresses), but are reflected in customer´s data and delivery addresses. 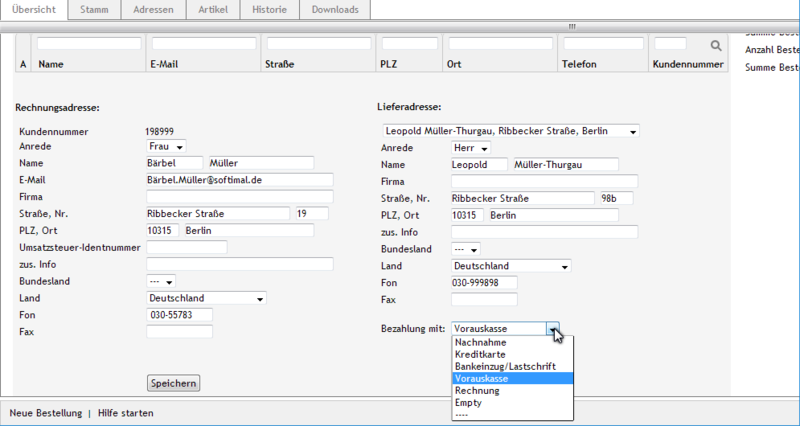 Default User groups are automatically assigned to new customers entered here. Payment Type can be selected right here. History entries are created to reflect, whether the customer ordered in frontend or was created by admin.